Features two independent charging channels for Li-Ion batteries. Two separate LED's for status of each channel. Red = Charging / Green = Charged. 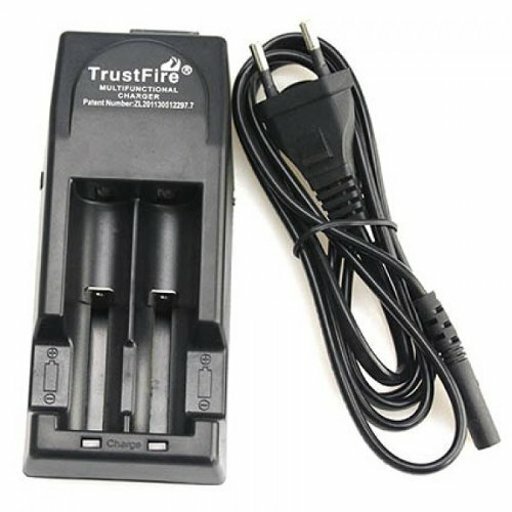 4.2 volt, 500mAh output charges batteries quickly. 18650, 18500, 18350,17670, 16340, 14650, 14500, 14430, 10440. (15270 and 14250 require a spacer. We use 3 dimes)..
Includes 3 foot power cord.